CloudSploit strives to be transparent about every aspect of our service. Use of this Website Constitutes Agreement to these Terms: Please read these terms (the "Terms") carefully before using this website (the "Site"). By accessing or using the Site, you are agreeing to these Terms and concluding a legally binding contract with CloudSploit LLC., a New York limited company ("CloudSploit"). These Terms are effective for all existing and future user accounts including any and all other users of the Site for commercial and non-commercial purposes. You may not use services available on the Site (the "Services") if you do not accept the Terms or are unable to be bound by the Terms. Your use of the Site is at your own risk, including the risk that code samples may not provide a complete solution. You can agree to the Terms, in order to access the Services, by either of the following methods. CloudSploit Website. This website is maintained by CloudSploit LLC ("CloudSploit"), in order to inform visitors about CloudSploit branded services and products offered by the various entities. Use of the website is subject to the terms presented herein which are subject to change by CloudSploit without notice. Accordingly, it is recommended that you review these terms each time you visit the website to be aware of any changes. Use of the Website. The CloudSploit website is provided on an "as is" and "as available" basis. Specifically, you may download, display, reformat or print any part of the website for personal (for individuals) or internal use (for businesses) for the purposes of reviewing/evaluating and using any products offered through the website. You may not modify, copy, distribute, transmit, display, reproduce, publish, license, or otherwise use any content for resale, distribution, marketing of products, or other commercial uses. The website and its contents may not be used for any unlawful, abusive, libelous, or threatening purpose. You may not use the website in any jurisdiction where its contents or use would be restricted or prohibited by law. You grant CloudSploit a royalty-free and irrevocable license to use any information submitted to CloudSploit through the website. By submitting information to CloudSploit, you warrant that the information is accurate and that the use of the information will not violate the rights of any third party. CloudSploit Products and Services. CloudSploit offers separate products and services through this website. Additional terms and conditions may be presented when applying for the products or services (each a "Subscriber Agreement" or "End User License Agreement"). These terms do not modify or supplement the Subscriber Agreement or End User License Agreement and relate solely to the accessing and content of the website. Nothing on the website shall be construed as a warranty or representation of the products or services except where such representation or warranty is explicitly included in the relevant Subscriber Agreement or End User License Agreement. Intellectual Property Rights. All content on the CloudSploit website is owned by CloudSploit and no ownership rights are granted herein. You may not use any CloudSploit trademark, logo, or other proprietary information without CloudSploit's express written consent, including the use of such information in links, meta tags, or hidden text. Any use of CloudSploit's intellectual property on another website or for commercial purposes is prohibited unless authorized, in advance of such use, in writing by CloudSploit. The CloudSploit website may contain links to websites operated by third parties. These links are provided for convenience only, and CloudSploit does not endorse, monitor, control, or verify the contents of these sites. CloudSploit is not liable for any content accessed through a link or for any damage caused by a third party site. CloudSploit respects the copyrights of others. If you believe that your work has been copied in a way that constitutes copyright infringement, please contact CloudSploit in accordance with our DMCA procedure. Trademarks. "CloudSploit" and other terms used on the website are trademarks owned by CloudSploit and/or its affiliates. No rights are granted to CloudSploit trademarks other than as required by the typical use of the website. The CloudSploit website and its contents are protected under US and international copyright law. Disclaimer. CLOUDSPLOIT MAKES NO WARRANTIES OR REPRESENTATIONS ABOUT THE WEBSITE, ITS CONTENTS, THE LINKS, OR ANY INFORMATION PRESENTED. THE WEBSITE IS PROVIDED "AS IS", AND CLOUDSPLOIT EXPRESSLY DISCLAIMS ALL WARRANTIES, WHETHER EXPRESS OR IMPLIED. THIS DISCLAIMER INCLUDES ALL WARRANTIES OF MERCHANTABILITY, FITNESS FOR A PARTICULAR PURPOSE, AND NON-INFRINGEMENT. YOU ARE SOLELY RESPONSIBLE FOR YOUR USE OF THE WEBSITE AND ITS CONTENTS. YOU AGREE TO WAIVE ALL LIABILITY OR CLAIM AGAINST CLOUDSPLOIT THAT MAY RESULT OF YOUR USE OF THE WEBSITE AND ITS CONTENTS. CLOUDSPLOIT IS NOT RESPONSIBLE FOR ANY DIRECT, INDIRECT, SPECIAL, CONSEQUENTIAL, INCIDENTAL, OR PUNITIVE DAMAGES, EVEN IF IT HAS BEEN ADVISED OF THE POSSIBILITY OF SUCH DAMAGES. THESE DISCLAIMERS AND LIMITATIONS ON LIABILITY SHALL APPLY TO THE MAXIMUM EXTENT ALLOWED BY LAW. Indemnity. YOU AGREE TO INDEMNIFY AND HOLD HARMLESS CLOUDSPLOIT AGAINST ANY THIRD PARTY CLAIM WHERE SUCH CLAIM ARISES OUT OF YOUR USE OF THE WEBSITE, INCLUDING THE USE OF ANY LINKS ON THE WEBSITE OR YOUR SUBMISSION OF ANY CONTENT THROUGH THE WEBSITE TO CLOUDSPLOIT. General. If any of these terms are held invalid or unenforceable by a competent court of law, the unenforceable provision shall be severed from the remaining provisions and not affect the validity or enforceability of the rest of the terms. Use of the website is governed by the laws of the state of New York without regard to any conflict of law principles. Any legal action or proceeding relating to the use of the website must be instituted in the state or federal courts of New York, which have exclusive jurisdiction. Governing law for use of the products and services is set forth in the relevant Subscriber or End User License Agreement. If you use CloudSploit's products and services, we may collect a password for your user account if you do not use a social login (e.g. GitHub). If we do collect a password we will take reasonable measures to keep it secure, including the use of secure hashing. For billing, we integrate with third-party payment services such as Stripe and they, not us, retain any billing information related to your account; we never receive or "touch" any of your personal financial information as we liaise directly with such third party billing agents. Because our product is focused on threat monitoring and detection, we store IP addresses and other metadata in our database and logs for debugging purposes. 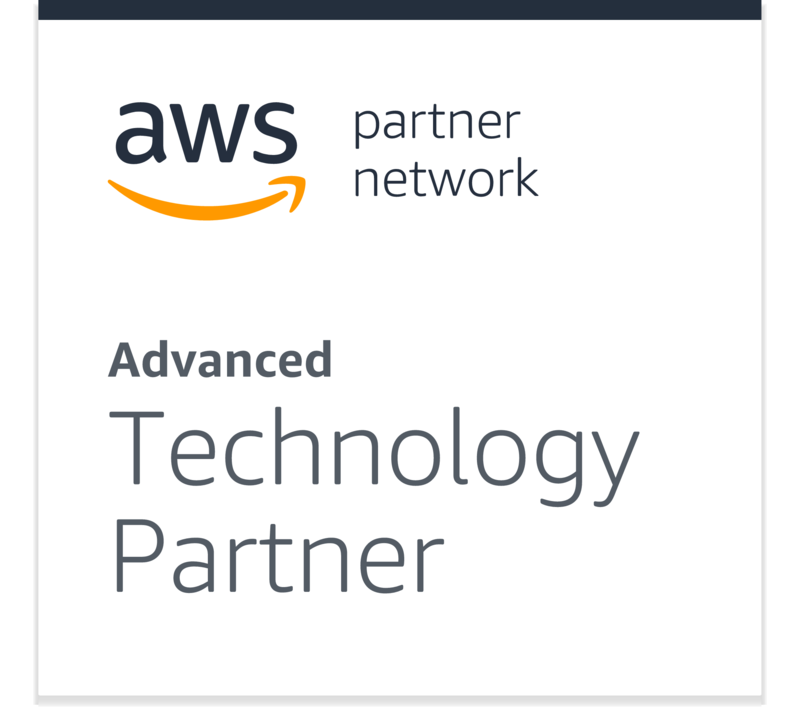 CloudSploit also collects Amazon Web Services (AWS) account connection information to help us, when you enable our threat scanning products, to store and better analyze configuration risk data about the customer's environment. This includes resource names, risk severity, and details about the risk. For example, we might store "Database xyz has risk abc discovered on 2018-04-01". We cannot "see" or collect any data within the resources but, rather, can only see the configuration of the 'metadata' so that we can track and respond to threats. Information about your cloud environment may be automatically collected by CloudSploit. After it has served its useful life, we also take measures to delete and purge collected data from our system. CloudSploit encourages you to review the privacy statements of websites you choose to link to from CloudSploit so that you can understand how those websites may collect, use, and share your information. CloudSploit is not responsible for the privacy statements or other content on websites outside of the CloudSploit Site. CloudSploit collects and uses the very limited personal information set forth above to operate its Site(s) and deliver the services you have requested. CloudSploit does not sell, rent, or lease its customer lists to third parties. CloudSploit may share data with trusted partners and trusted service providers, to help perform statistical analysis, marketing purposes, and provide customer support. An example of this is Google Analytics. All such third parties are prohibited from using your personal information except to provide these services to CloudSploit, and they are required to maintain the confidentiality of your information. CloudSploit's policy is to reject all initial requests for personal data of our users. However, CloudSploit will disclose your personal information, without notice, if required to do so by law or in the good faith belief that such action is necessary to: (a) conform to the edicts of the law or comply with any legal process served on CloudSploit or the site; (b) protect and defend the rights or CloudSploit; and, (c) act under exigent circumstances to protect the personal safety of users of CloudSploit, or the public. The CloudSploit Site may use "cookies" to help you personalize your online experience. A cookie is a text file that is placed on your hard disk by a web page server. Cookies cannot be used to run programs or deliver viruses to your computer. Cookies are uniquely assigned to you, and can only be read by a web server in the domain that issued the cookie to you. One of the primary purposes of cookies is to provide a convenience feature to save you time. The purpose of a cookie is to tell the Web server that you have returned to a specific page. For example, a cookie helps CloudSploit to recall your specific information on subsequent visits. This simplifies the process of delivering the services to you. When you return to the same CloudSploit Site, the information you previously provided can be retrieved, so you can easily use the CloudSploit features that you customized. You have the ability to accept or decline cookies. Most Web browsers automatically accept cookies, but you can usually modify your browser setting to decline cookies if you prefer. If you choose to decline cookies, you may not be able to fully experience the interactive features of the CloudSploit services or websites you visit. Certain third party programs with which we work, such as Google Analytics may also have cookies. You may similarly set your browser to disable such cookies. CloudSploit secures your personal information from unauthorized access, use, or disclosure. CloudSploit follows generally accepted industry standards to protect information you submit: in transition and once received. While we will strive to use commercially acceptable means to protect your personal information, we cannot guarantee its absolute security. CloudSploit does not knowingly collect personally identifiable information from children under the age of thirteen. If you are under the age of thirteen, you must ask your parent or guardian for permission to use the Services. CloudSploit will occasionally update this Statement of Privacy to reflect company and customer feedback. CloudSploit encourages you to periodically review this Statement to be informed of how CloudSploit is protecting your information. Ready to test your security? CloudSploit is open-source software with free and paid hosted options. The open-source scans can be downloaded from our GitHub page. © 2019 CloudSploit, LLC. All Rights Reserved.